The YOUniquely YOU women’s retreat returns to Lake George for its second year! (Albany, NY) – The top national women’s conference and retreat, “YOUniquely You – Putting Women First, The Power of Possible” presented by Sharon Burstein International will be June 28-30, 2019 at Wiawaka Resort at Lake George, New York. Empowering women of all ages to become their best, this all-inclusive weekend brings together women of all ages and backgrounds from around the country for a weekend dedicated to building women up, building stronger connections, unleashing their full potential and discovering their life’s purpose and passion. Building women to new levels of personal growth and success in every aspect of their life, fabulous retreat and is about growth, potential, and success, filled with laughter, love, and connections. Featuring world-class presenters and speakers, YOUniquely You was created by Sharon Burstein of Sharon Burstein International, recognized globally as America’s Leadership Image and Success speaker, trainer and consultant to bring women together for a comprehensive dedicated weekend, created and designed specifically for women and their personal and professional life. This memorable fun and discovery weekend leaves countless lasting impressions. Attendees savor and sample a variety of activities, workshops, networking opportunities, and experiences from morning through sunset along with time to enjoy and sample the beautiful surroundings of Wiawaka, the oldest women’s retreat in the country. “Often women do not take a time out to invest in themselves. We are so prone to taking care of others. YOUniquely YOU – Putting Women First, connects women to themselves and to others with tremendous impact.”, said Sharon Burstein, retreat creator. 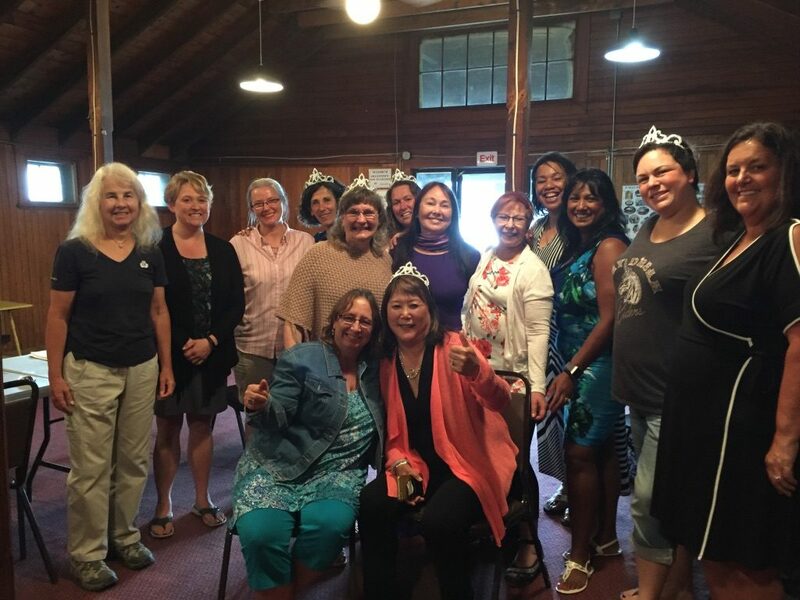 “This retreat enriches and builds women up in countless ways, builds confidence and connections for today and the tomorrows ahead.”, Burstein added. The YOUniquely You – Putting Women First retreat weekend begins with registration and reception on Friday, June 28th and concludes on Sunday, June 30, 2019, at noon. Registration for YOUniquely YOU and it’s all-inclusive package of a 2-night stay with all meals, receptions, workshops, and materials is only $597. To secure your retreat registration reservation, call 518-339-4027, or online at www.sharonburstein.com/wiawaka. Registration is now open and limited to the first 50 women registered. Sharon Burstein International, headquartered in Albany, New York is an International Marketing Consulting, Speaking and Training Company founded in 1989 and founder of the highly regarded national business leadership development event Leadership Summit America now in its 4th year, and Leadership Success Mastery Bootcamp. For further information and registration go to www.SharonBurstein.com.